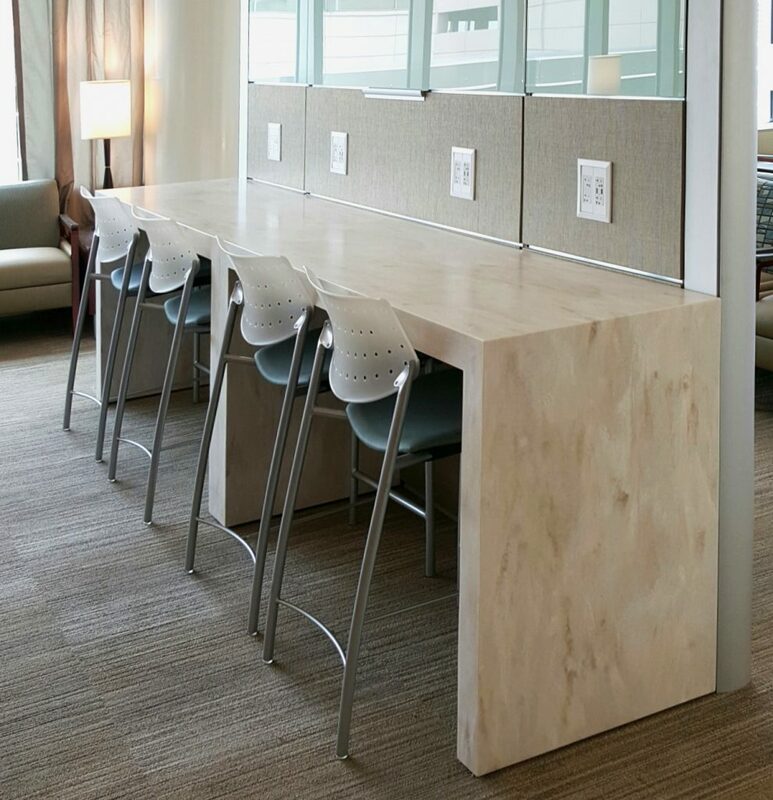 We are committed to providing you with the highest quality solid surface solutions on the market. Through years of research and development we have pioneered a unique patented construction system you will not find from any other solid surface manufacturer. Without the use of a structural system, solid surface solutions are prone to cracking and structural failure. We’ve witnessed it countless times. The use of a substrate, like MDF, to support solid surface is not structurally stable, hygienic or moisture resistant and does not allow for expansion or contraction. We’ve spent many years developing the ultimate solution. So you don’t have to.